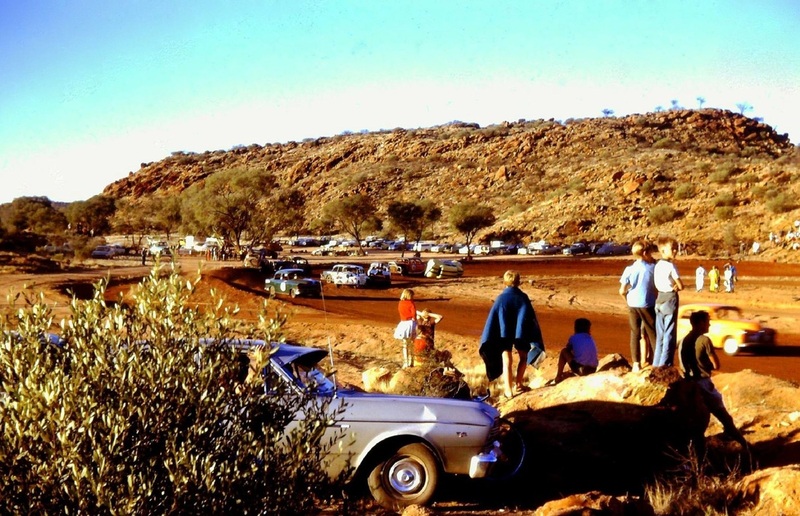 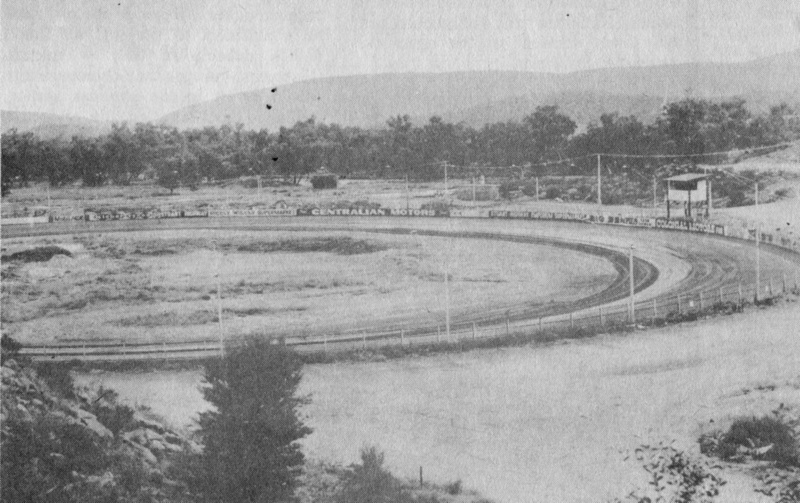 Prior to the building of the Arunga Park circuit the Centralian Stock Car Club members raced their machines on a track scratched out amoung the Mulga tree's in a dry creek run off area. 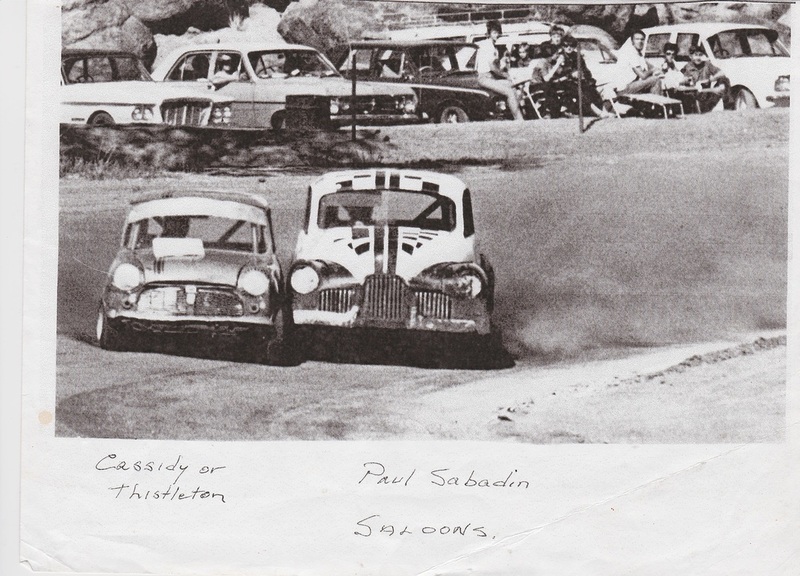 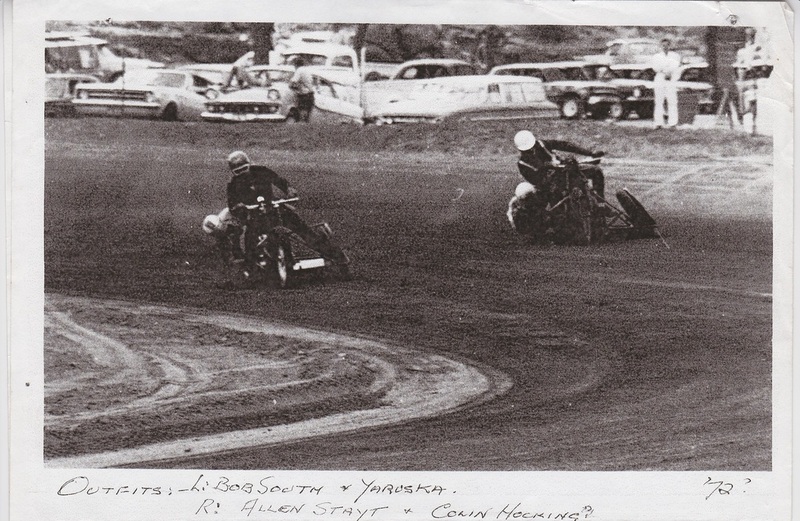 1969 Photo: Peter Bassett post on Aussie Speedway Memories. 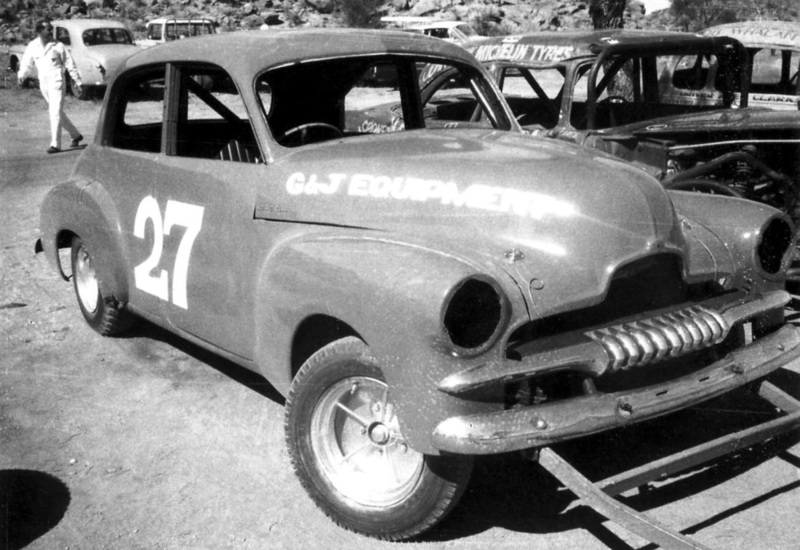 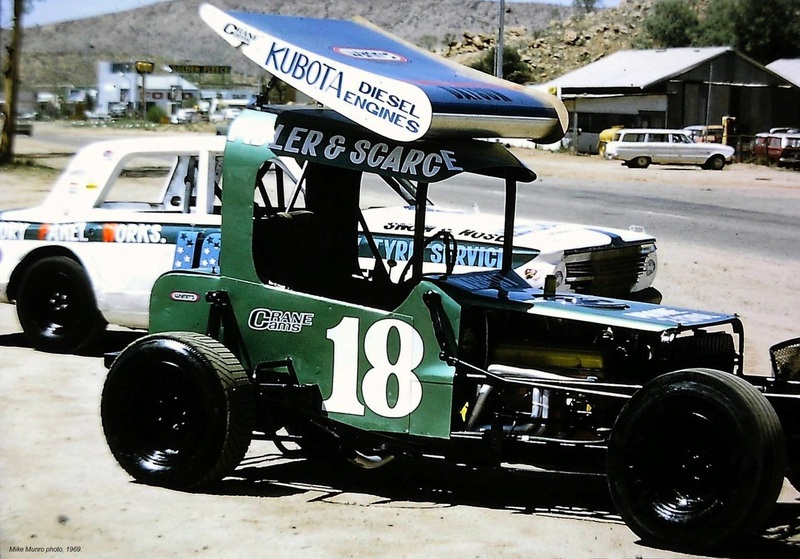 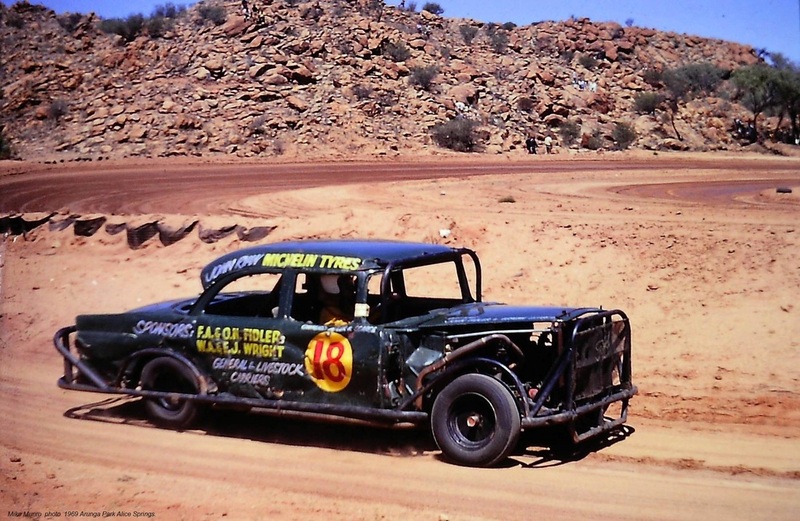 In 1969 local racer Ian Clarke purchased the ex Australia 1 Headmod FJ Holden of Phil Page, Photo: Peter Bassett. 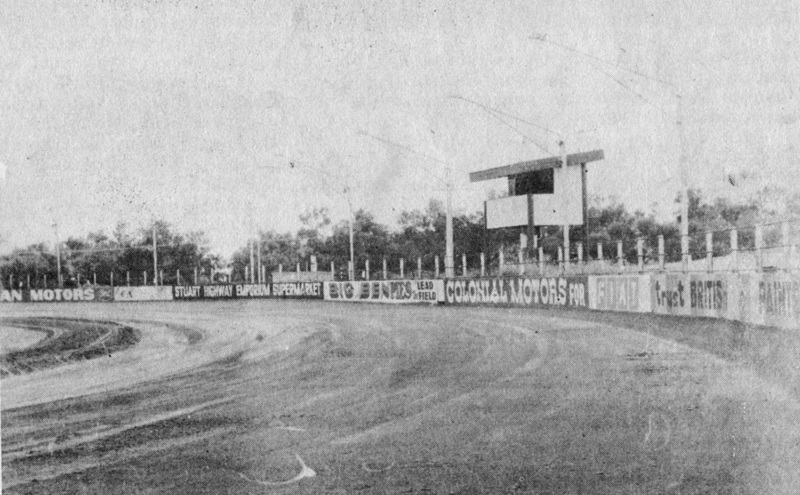 1969 Ian Clarke leads the field while one car rolls. 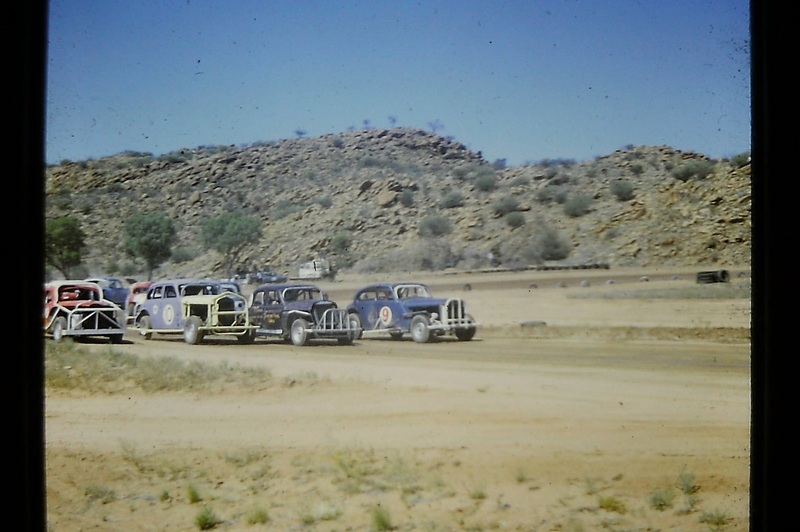 Photo: Peter Bassett. 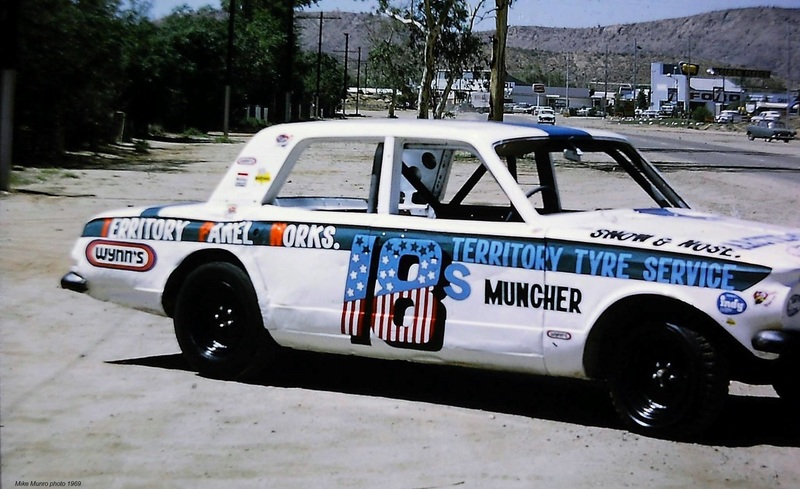 1969 Mike Munro. 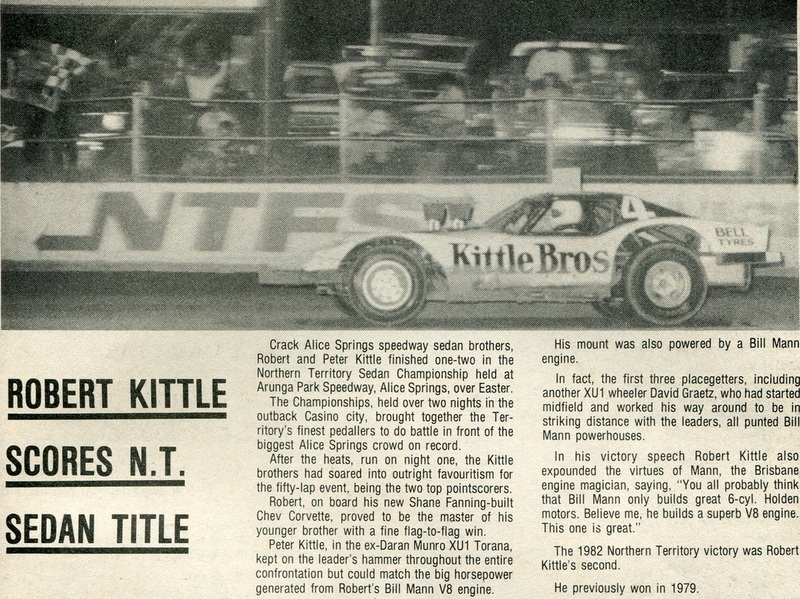 Photo: Peter Bassett post on Aussie Speedway Memories. 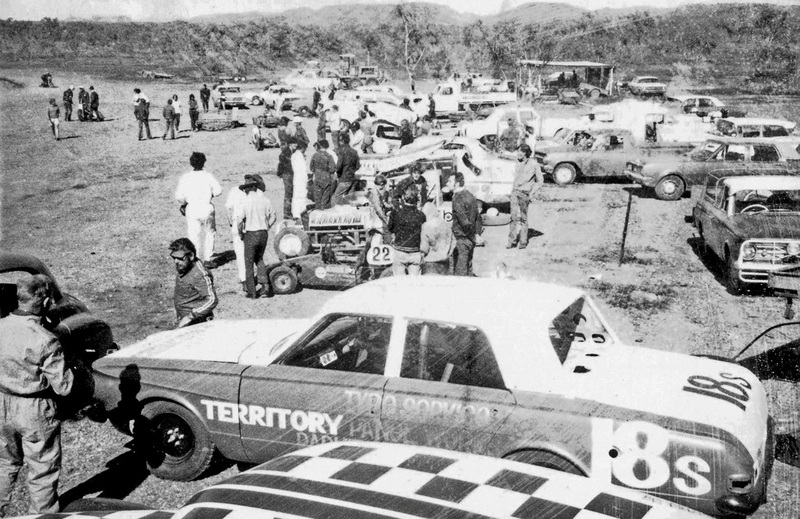 Arunga Park Speedway officialy opened to the public on the 23rd of April 1973, on the Easter long weekend, competitors travelled from as far as Tennant Creek, Darwin, Mount Isa and Townsville in Queensland, The venue is run by the Arunga Park Speedway Association inc.
1972 Bob South & Yaruska inside Alan Stayt & Colin Hocking. 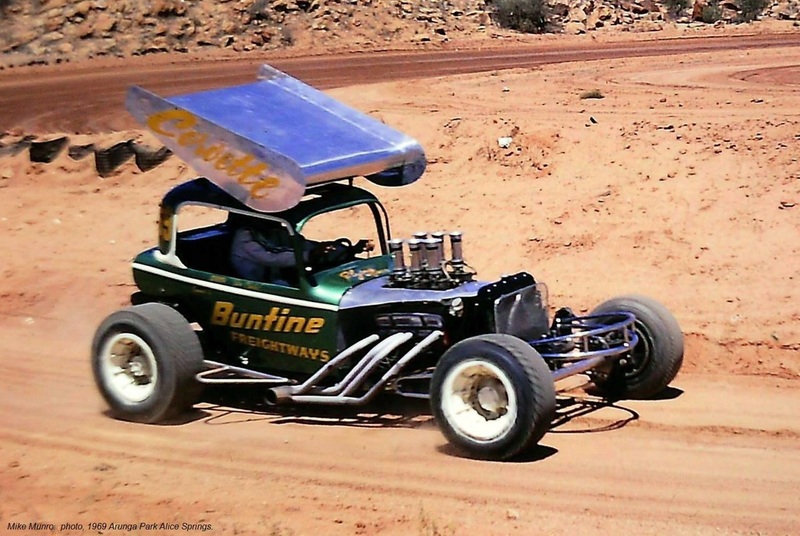 Photo: Janelle & Brian Garager SA Longtrack. 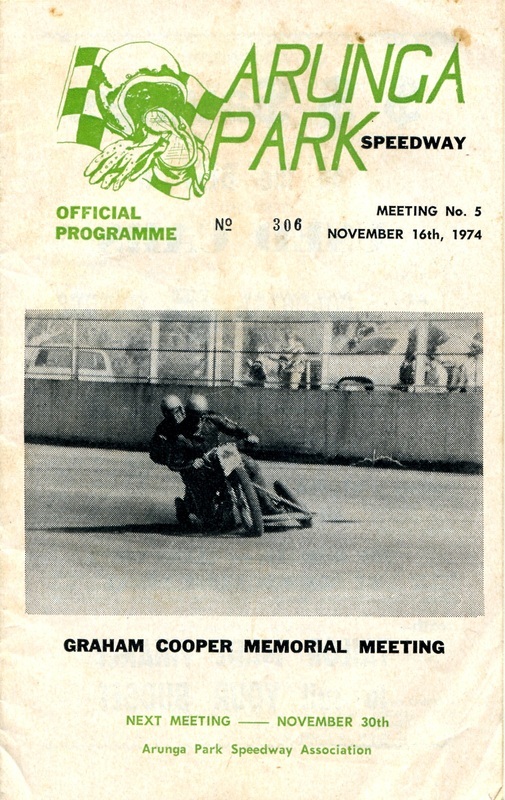 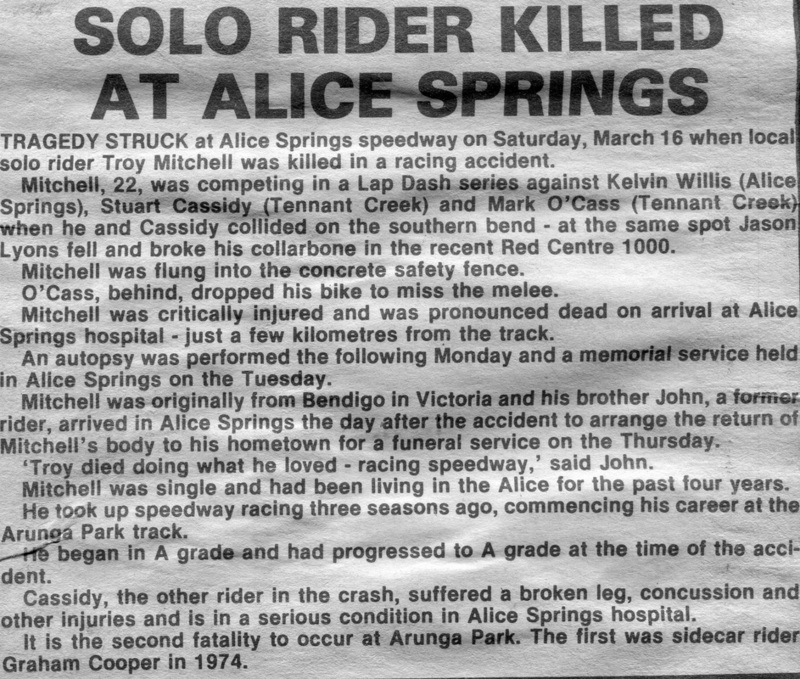 On the 2nd of November 1974 Graham Cooper lost his life in a sidecar accident at the Arunga Park Speedway. 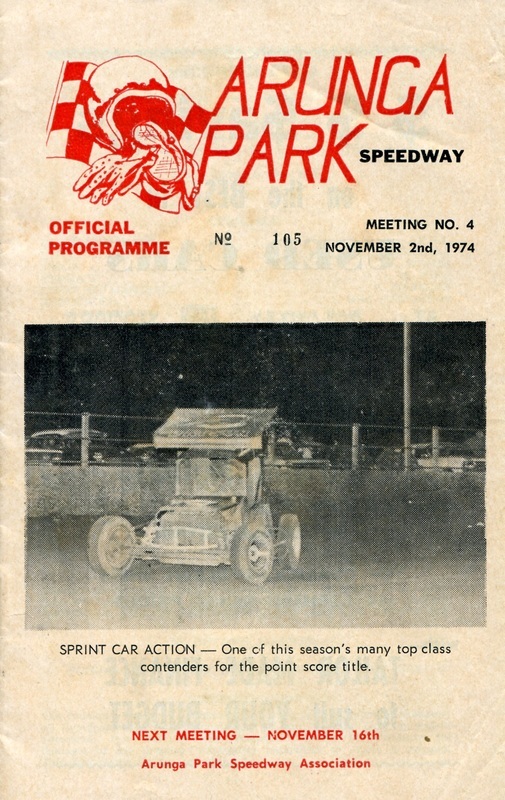 The following meeting a memorial event was held in his honour, The gate taking from this meeting would be put into a memorial fund that would enable the club to build a grandstand complex in Graham's memory.